The Hurun Research Institute also released its 2015 Best of the Best- Chinese Luxury Brand Trend and Chinese Millionaire Wealth Report. The reports look at various industries and provide an analysis of high-net worth individuals’ purchasing behavior. 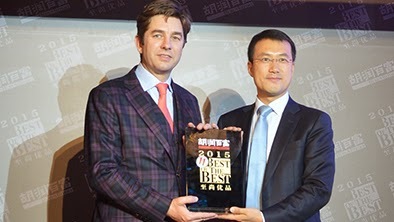 The report has been deemed as the ISO 9000 for the higher class which is very authoritative, and shows that Huawei Mate7 has an Net Promoted Score (NPS) of 79%, 50% higher than that of the industry, which means that consumers who purchase the smartphone are very likely to recommend it to others. Huawei Mate7 features a big 6-inch screen with FHD display for enhanced entertainment viewing, a slimmer 7.9mm body for increased comfort, a more powerful octa-core chipset for superior performance, and a longer-lasting 4100 mAh battery. It is also the first smartphone from Huawei to feature new single-touch fingerprint technology. The smartphone has received significant industry recognition for its design and features since it was launched, both from international media and third parties. Thanks to its innovation and extraordinary user experience, Huawei Mate7 has also attracted endorsement from well-known public figures, such as football player, Cristiano Ronaldo. i am very impress Huawei Mate7 has been included in a growing number of high-end luxurious brand. thanks for representation.